Hair transplant is a surgery on demand of the person, it is not a life-saving procedure but definitely, it helps in increasing self-confidence of the person with the total change in his personality. You should consult your hair restoration doctor before planning for Hair transplant. Not every bald person is fit for it. Androgenetic alopecia of Norwood grade 3 to 7 is the indication of hair transplant. Your profession is like that which demands good hair e.g. Stage artists or models Salman Khan is a good example of the change in personality after Hair Transplant. You feel that your self-confidence is decreasing because of baldness. If you want to look better, many cricketers like Saurabh Ganguly, Actor Salman Khan had undergone Hair Transplant to improve there look. For hair transplant, you need good donor Hair. Nowadays body parts other than scalp are also used as a donor source. Beard and chest are the most commonly used. Before going for hair transplant surgery your expectations should be realistic, you may need more than one hair transplant if you want very good density. If your expectations are too high you should avoid surgery and take proper consultation. There are some conditions like scarring alopecia and alopecia areata where hair Transplant is contraindicated. Consult your doctor and take proper treatment to cure these conditions. Females can also undergo hair transplant surgery. – If FPHL is severe and she had taken enough medical treatment, they can select Hair Transplant surgery. Shock loss after the Hair transplant is more common in female but it will recover in four to five months. Vitamin deficiency and ferritin deficiency is the most common cause of hair fall in Indian females. Before going for Hair transplant surgery they must be corrected. If a person is suffering from generalized Hair loss than he should first try non-surgical treatment modalities like USFDA approved medicines and PRP. Both work very well if Hair roots are alive but if follicles are not live then no medicine will work, Hair transplant is the only option in such cases and results are very good. Inform about any drug allergy if you have. 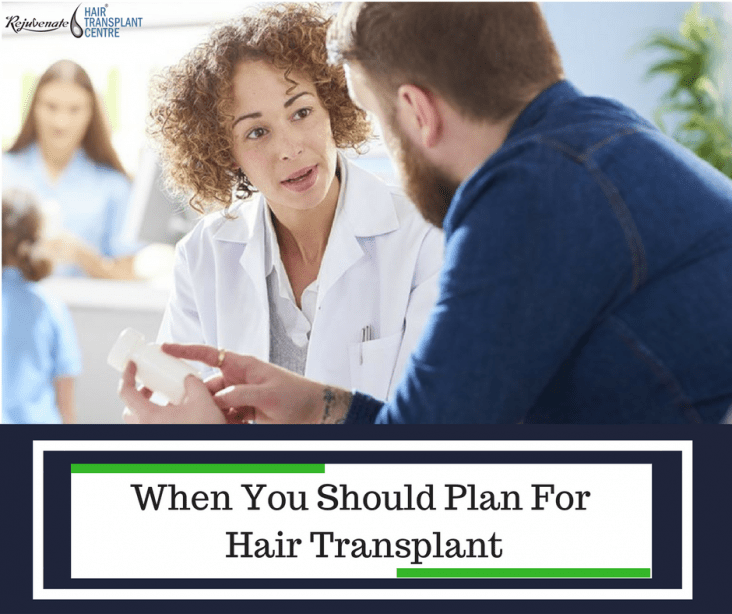 So planning for Hair Transplant at best Hair Transplant centre with a well-qualified surgeon will definitely give you a new look and confidence.